Obituary for Mary M. (Weber) Fagala | Lanman Funeral Home, Inc.
Mary Weber Fagala was born September 3, 1932 in Aline, Oklahoma to Henry and Estella Weber. She graduated from Aline High School in Aline, Oklahoma. After graduating, she attended Oklahoma A & M for a short time. On December 24, 1950, she married Verlyn Fagala, and had two sons, Terry and Jerry. Mary worked for Pioneer Electric Company in Ulysses, Kansas. At age 70, after 40 years of service, she retired. After retiring, Mary worked part time at Garnard’s Funeral Home in Ulysses, Kansas. Mary was a member of Celebration Baptist Church in Ulysses, Kansas. She enjoyed serving others and helping with meals for weddings, funerals, and other special occasions. Mary was a wonderful cook. One of her specialties was her pecan pie and her “sock it to me” cake. Mary was preceded in death by her father, Henry Weber; her mother, Estella Weber; her husband, Verlyn Fagala, and her brother, Jake Weber. She is survived by her brother and his wife, Lawrence and Collene Weber of Aline, Oklahoma; two sons and their wives, Terry and Sherry Fagala of Gage, Oklahoma and Jerry and Tami Fagala of Edmond, Oklahoma; her seven grandchildren and their spouses, Tara Fagala, Tanya and Josh Cummings, Tina and Matt Hunt, Josh Fagala, Alisha and Montana Dugger, Krista Fagala, Tyler and Malynn Fagala; seven great grandchildren, Drew, Jaylon, Braydyn, Brynden, Nathen, Maverick, and Ace; brothers-in-law, Dee Fagala and wife, Nina of Gage, Oklahoma and Lyle Fagala of Arnett, Oklahoma, and many cherished cousins, nieces, and nephews. 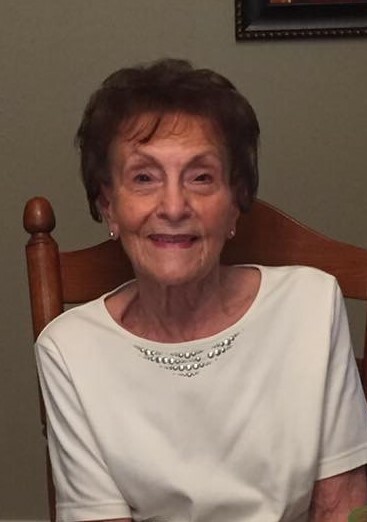 Graveside service for Mary will be Tuesday, April 9, 2019 at 11:00 a.m. at Aline Star Cemetery. Arrangements are by Lanman Funeral Home, Inc. of Helena. Viewing will be Monday 10:00 a.m. until 4:00 p.m. www.lanmanmemorials.com Facebook: Lanman Funeral Home Inc.
Memorials may be given to Aline Star Cemetery through the funeral home.